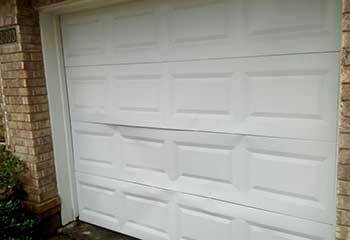 Having some problems with your garage door? Not to worry, our professional technicians are highly skilled at fixing old systems and installing new openers and springs. Take a look at our latest projects to see how we've helped other customers in need. 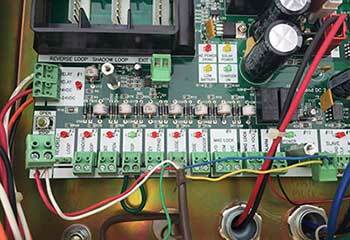 Customer Issue: Remote controls and wall panel wouldn’t work. Our Solution: We tested and inspected the remotes, wall panel, and Craftsman opener itself. After determining that the circuit board seemed to be broken, we replaced it with a new one before testing to ensure everything was functioning properly. Customer Issue: Misaligned safety sensors. Our Solution: The reason the door wouldn't close was that the opener's photoelectric sensors somehow lost their alignment. We repositioned them and then tested the door to make sure it was able to close uninterruptedly once again. Our Solution: We assessed the situation to determine which panels will need to be replaced and what type of model and design was required. Then we removed the damaged sections and installed the new panels in their place, preserving the door's curb appeal and ensuring that it remained strong and insulating. 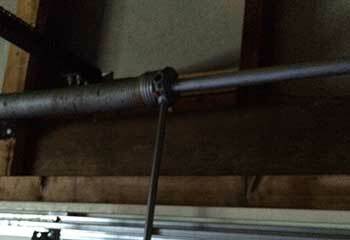 Our Solution: We removed the damaged component and installed a new, more flexible and durable oil tempered torsion spring in its place. 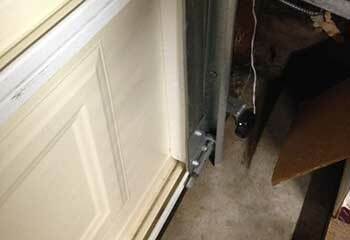 We then made sure the tension was well adjusted and that the door could open and close easily again.